Do you ever have those type of days that you just want a certain style of food. I was craving Thai food, but my fridge was looking pretty sad so I didn't have that much to work with. Luckily, last time I went grocery shopping I got some coconut milk thinking I ran out but I didn't. Now, I have about 6 cans! It drives me crazy when I do that! Anyways, I knew lentils and coconut milk would take me a long way, but without many vegetables I was slightly limited. I find the best thing to do in that situation is to make a meatball or burger ... a little can go a long way! 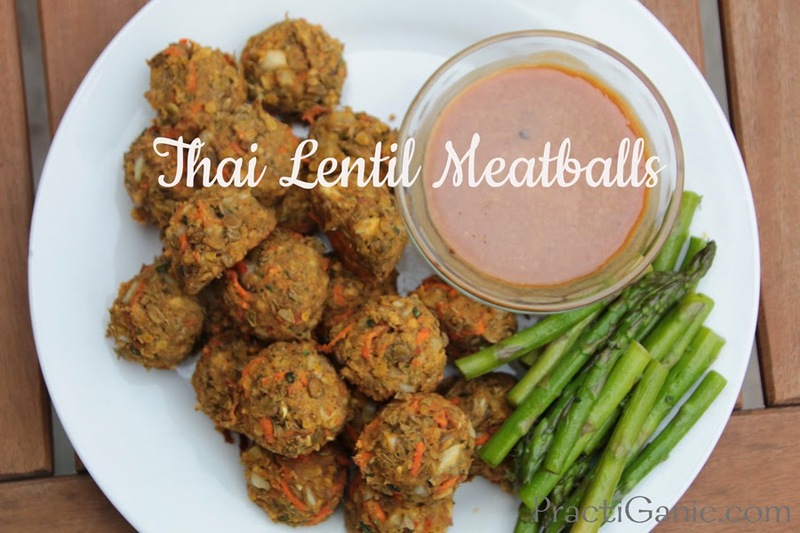 The Thai Lentil Meatballs filled my craving perfectly! Plus, I knew they would put a smile on Paul's face because he loves Spicy Peanut Sauce! I made two peanut sauces too, one with red pepper flakes and one without for the kids. They loved the sauce so much they were trying to dip everything they could find into it! Put lentils in a pot with 2 1/2 c water. Bring to boil, then turn down heat to medium-low. 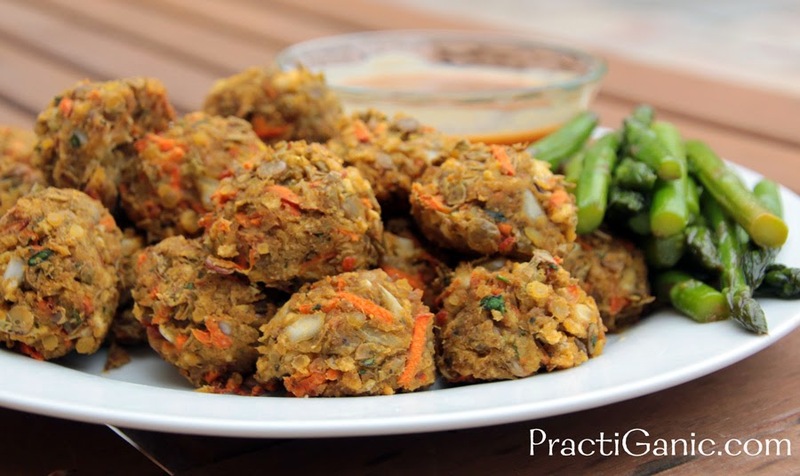 Cover and cook until lentils are softened but not mushy. In a bowl mix all ingredients until well incorporated. Scoop out 1 inch balls and put on a ungreased baking sheet. Bake at 375° for 22-25 minutes. Put all of your sauce ingredients in a pot. Heat up over a medium heat until they are all mixed together. This sauce tastes great warm or can be made ahead and taken out of the fridge and served.